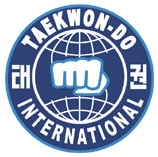 Regional and National Instructor Training and International Black Belt Certification. Certified National Examiners for all ranks thru 7th Degree Black Belt. Local Rank Exams for Colored Belts. The ATHA is dedicated to the advancement of Korean martial arts through excellent instruction, compassion and care. Thousands have experienced the benefits of our programs and outreach and over 1,000 have earned black belts through us. Instructor - Certification and training available. Black Belt - Training, advancement and family atmosphere. Student - Easy Start Program for beginners gets you involved without any stress or apprehension. Thousands have taken the first step before you. We make it easy to start and learn. Since 1974 we have provided the premier martial arts experience to the Midwest. Our World Class Instructors bring you classes that are designed to make new students feel welcomed and at ease. The training is vigorous and refreshing. New students soon feel better about themselves and their health. Expect to improve motor skills such as balance and reaction time as your fitness and self defense skills grow. Getting in better shape through martial arts is a secondary benefit. The peace of mind gained from learning self-defense is priceless. Children often improve academics and gain self-esteem through our proven success based program. Over 1,000 have done it before you and many hundreds more are on the way. At our Academy there is NO LIMIT to what you can accomplish. Why not you? get started today!